On this day 99 years ago, a girl named Ellen Muriel Deason was born in Nashville. She learned to play guitar from her father, who was a railroad brakeman (I guess Jimmie Rogers wasn't the only singing brakeman) and she began singing with her sisters as The Deason for a local radio station in 1936. Ellen married a singer too -- Johnnie Wright, who later would become part of the famous hillbilly duo Johnnie and Jack. Before that, however, Wright sang with his wife and sister Louise under the name "Johnnie Right & The Harmony Girls." It was Wright's idea to give Ellen a stage name. He got it from an old folk song called "Sweet Kitty Wells." Kitty began recording in 1949 on RCA Records. She didn't have a major hit, however, until 1952 when she recorded an "answer song" to Hank Thompson's "The Wild Side of Life." The song was as controversial as it was popular. 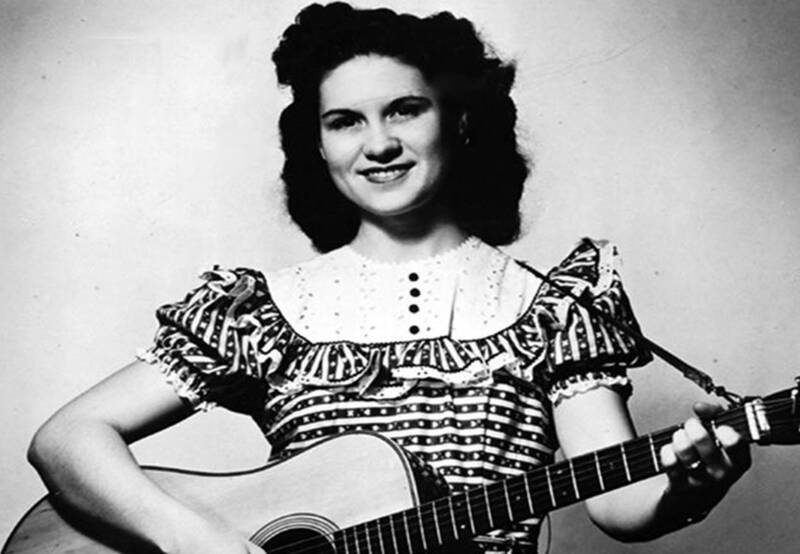 Back then, female singers weren't supposed to be talking back to men -- especially in the world of country music. "It's a shame that all the blame is on us women..." Scandalous! Some radio stations banned it -- as did The Grand Old Opry initially. But the public loved it. A star was born. She died in 2012, not long before her 93rd birthday. Here's that first big hit. Kitty followed "Honky Tonk Angels" with another answer song -- this one answering Webb Pierce's "Backstreet Affair." But there was much more to Kitty than answer songs. "Making Believe" is a classic. Here's a good honky-tonker, "I Heard the Jukebox Play." She also asked that age-old musical question, "Will Your Lawyer Talk to God." 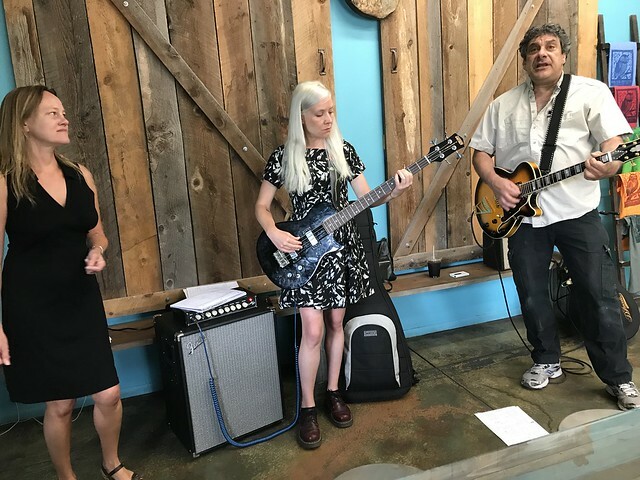 A lot of folks don't remember -- and that might be a good thing -- a strange, short-lived musical fad of the 1990s and early 2000s: Stars of easy-listening doing versions of rock 'n' roll tunes. It got old pretty fast. But here are some examples of this weird little trend. In an album dedicated to the rock/lounge connection, Steve Lawrence & Eydie Gorme covered this popular Soundgarden song. Paul Anka was full of teen spirit when he did this 2004 album, Rock Swings. I know Tiny Tom wasn't really a lounge singer -- and definitely not "easy" listening. But he and Brave Combo recorded the swingingest version of "Stairway to Heaven" in human history. I've said it before -- Van Morrison would have KILLED for this arrangement. 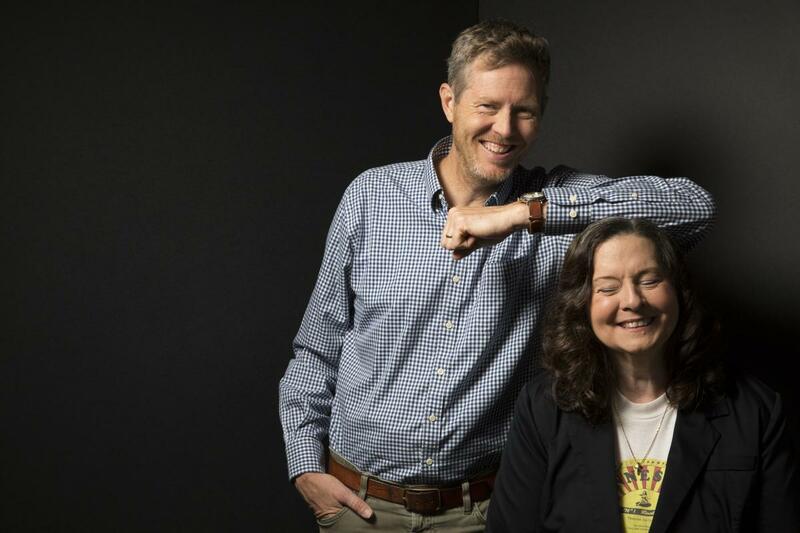 In his previous two albums, Upland Stories (2016) and Gone Away Backwards (2013), Robbie Fulks made the greatest music of his impressive career. Both featured fairly subdued and mostly acoustic songs. But they are powerful songs that cut deep, covering themes of displacement, disappointment, economic and emotional despair, cruel fates, and tangible frustration. 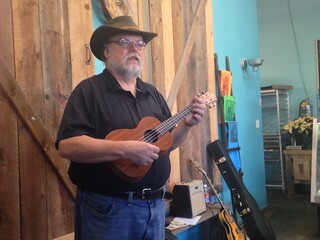 Considering that Fulks began his recording career in the 1990s with a string of irreverent, comic tunes such as “Papa Was a Steel-Headed Man,” “She Took a Lot of Pills (And Died),” “I Told Her Lies,” and “Darn This Town” (title bowdlerized for your protection), his albums of the 2010s have shown growth, maturity, and emotional depth. But sometimes a guy just needs to take a break from the heaviness and tear up the honky tonk with a boogie-woogie country gal. And that’s just what he does on Wild! Wild! Wild!, Fulks’ new duet album with rockabilly royal Linda Gail Lewis. The songs here are much lighter than Fulks’ last couple of efforts. But Lordy, this album is fun. 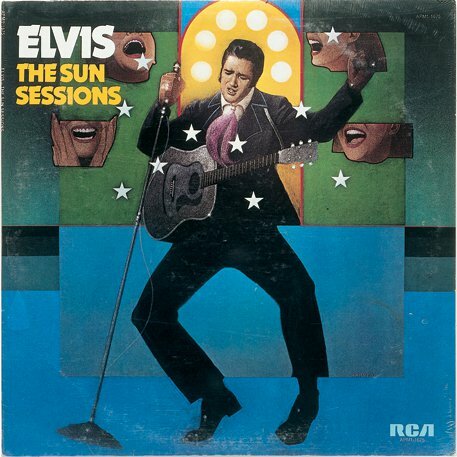 It’s full of rockabilly romps, country weepers, blue-eyed soul, bouncy blues, sweet harmonies, drinkin’ songs, cheatin’ songs ... the sounds that made America a beacon of the Free World. A little background on Ms. Lewis. She’s grown up in the shadow of her OG rock ’n’ roll brother, Jerry Lee Lewis (which means she’s also the cousin of Urban Cowboy-era country star Mickey Gilley and disgraced evangelist Jimmy Swaggart). As a teenager, she began touring and occasionally recording with Jerry Lee in the early ’60s, releasing her first solo album, Two Sides of Linda Gail Lewis, in 1969, the same year she released a duet album called Together with her brother. 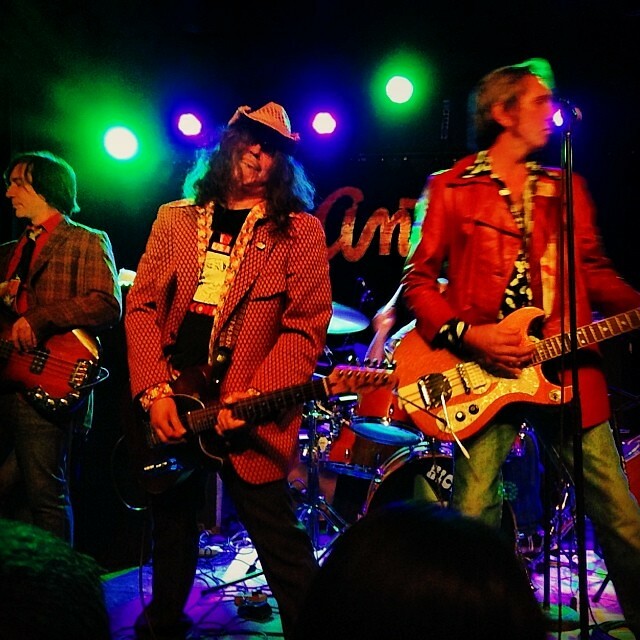 After a “nervous breakdown,” the rockabilly wildcat quit showbiz for a decade or so, but returned to performing in the late ’80s and to recording in the early ’90s. And she’s cranked out a steady stream of records since — mainly on small labels and European labels. Her best-known album has to be You Win Again, her 2000 duet record with Van Morrison. A couple of years ago, on an album called Heartbreak Highway, she teamed up with Fulks on a couple of tracks, including a rocking version of “You Are My Sunshine.” Apparently that led to Wild! Wild! Wild!, on Bloodshot Records. Fulks’ sardonic sense of humor comes across in the song “Till Death,” about a woman dealing with a cheating husband. In a weird way, it reminds me of an old song of his, “I Just Want to Meet the Man,” which was about a guy stalking his ex-wife and her new lover. The implied impending violence of that song (“No that’s nothing in my pocket, just a toy I brought for Jane/I couldn’t bear to see her hurting/Now Daddy’s here to kill the pain ...”) actually plays out in the upbeat “Till Death.” Linda Gail sings, “You’re a man that can’t keep a promise/I’m a woman never breaks a vow/We said ‘Till death do us part,’/And that’s now.” You should get a bang out of this number. Another favorite on Wild! Wild! Wild! 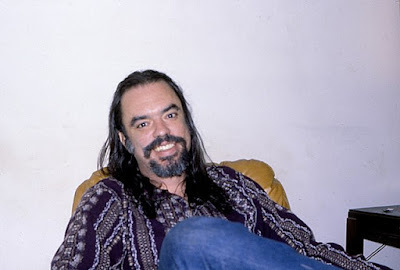 is “Who Cares,” a jazzy little tune sung by Lewis and written by country songwriter giant Don Gibson, whose greatest hit was “Oh Lonesome Me.” Besides Linda Gail’s vocals, the best thing the song has going for it is the sweet guitar of Redd Volkaert, who cut his proverbial teeth as one of Merle Haggard’s Strangers. Then there’s “Foolmaker,” sung by Fulks, which drips with gospel-soaked Southern soul. Out front is NRBQ member Scott Ligon on organ. 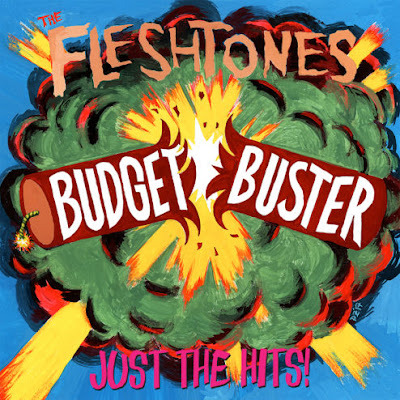 This album is probably just a one-shot deal. 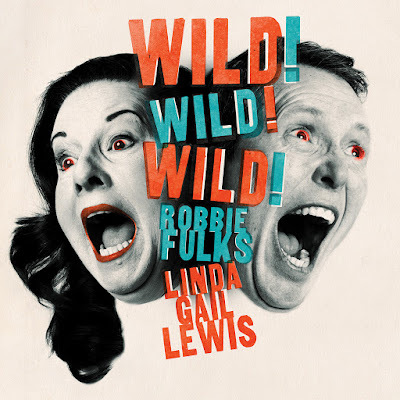 But I believe that in this collaboration, Linda Gail Lewis brought out the best in Robbie Fulks. And vice versa. Long may they hear the call of the wild, wild, wild. I believe Linda Gail hasn't been around nearly long enough. I was just a kid -- third grade I think -- just discovering the joys of early '60s AM radio when my young soul was captivated by a husky voice singing over a haunting piano. 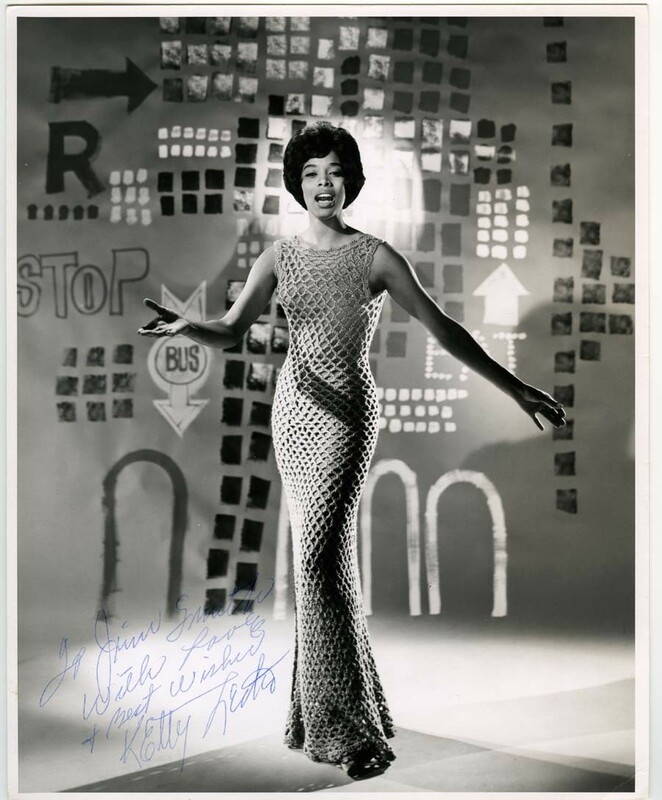 "Love letters straight from your heart / Keep us so near when we're apart ..."
It was a singer named Ketty (for years I thought it was "Kitty") Lester and the song, definitely her greatest hit, was "Love Letters." Born Revoyda Frierson in Hope, Arkansas (take note Bill Clinton fans) on this day in 1934, Lester began recording in the late 1950s. In 1962 she released a single "I'm a Fool to Want You." However DJs preferred the flip side, which, you guessed it, came straight from Ketty's heart. Martin Scorsese Presents the Blues: Red, White & Blues. Going back to the early 1970s, John Lennon paid tribute to Lester by capturing the piano part from "Love Letters" on his song "God." And in the '80s David Lynch via Dennis Hopper, paid tribute -- in his own peculiar way -- in Blue Velvet. "Don't be a good neighbor to her. I'll send you a love letter, straight from my heart, fucker ..."
O.K. Ketty, show 'em how it's done! 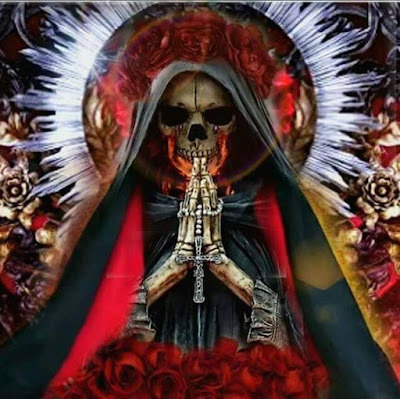 Today, August 15 is the Feast of Santa Muerte. To her followers, Santa Muerte is a powerful healer, a bringer of prosperity, an agent of vengeance. Some ask her for green cards, lovers, health, protection against violent drug cartels or immigration agents. Some ask her to punish their rivals. They call her the Pretty Girl, the White Girl, the Godmother, the Bony Lady and dozens of other names, including Santisima Muerte, most holy death. Little celebrated before 2001, and rejected by the Vatican, she has garnered a following of 10 million to 12 million devotees in Mexico and beyond — the fastest-growing religious movement in the Americas, said R. Andrew Chesnut, a professor of religious studies at Virginia Commonwealth University and author of “Devoted to Death: Santa Muerte, the Skeleton Saint.” Her following includes drug lords, hard-working families, prisoners and members of sexual minorities. 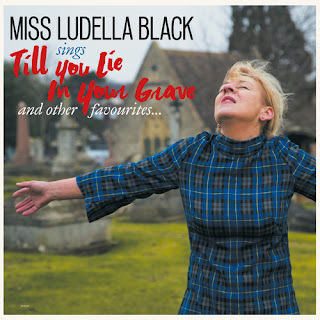 In honor of her fewast day falling on Wacky Wednesday, here are some songs about death. 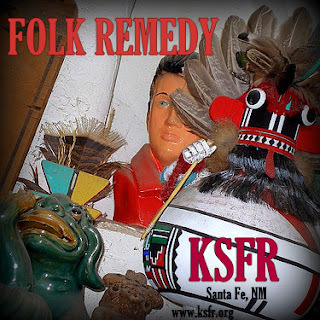 Lotsa good music in and around Santa Fe this week. Tonight, barring some last-minute work emergency, I'm heading out to The Mineshaft Taven in Madrid where The Hickoids are playing tonight. Opening the show, which is scheduled to starts at 9 p.m., is the pride of Espanola, The Imperial Rooster. 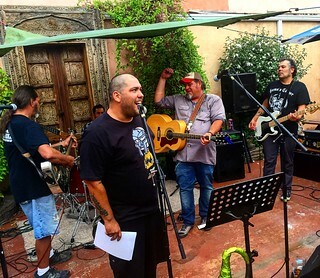 Then Saturday night, former Angry Samoan Gregg Turner and his band will play at Duel Brewing, 1228 Parkway Dr (off Rufina) in Santa Fe. This show starts at 7 p.m. I'll be there. AND I'M GONNA BRING MY UKE! On Aug. 9, 1930, America's cartoon sweetheart made her debut in a cartoon feature called Dizzy Dishes. 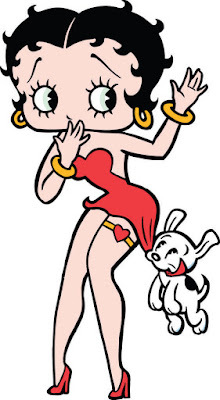 Although she would become one of the sexiest cartoon characters of that era -- or any era -- Betty actually started out as a dog. "...she was designed to be an object of lust for Bimbo, a dog character who was currently the lead in many of Max Fleischer's Talkartoons. Because she was created for Bimbo, she was originally an anthropomorphic poodle character, but she still had her Betty charms. "The character was based on the looks of singer Helen Kane, best known for her song "I Wanna Be Loved By You," and actress Clara Bow, who was the inspiration for Betty's Brooklyn accent. As Betty proved to be more and more popular, she evolved into a full human by 1932, her floppy ears turned into hoop earrings and her poodle nose was morphed into a cute button nose." The Betty Boop Youtube channel has collected some of the many songs Betty sang in these videos below. 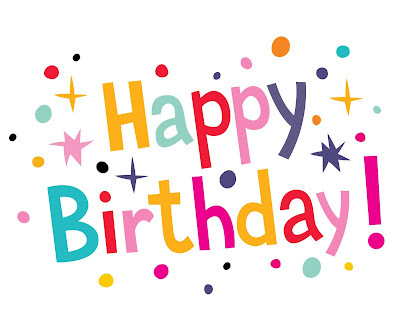 Happy birthday, Betty! 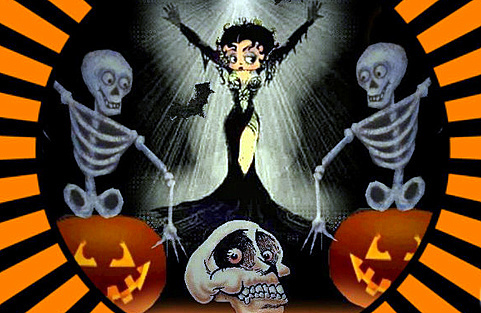 For more Betty on this blog, check out this Halloween post from a few years ago. This Wacky Wednesday we celebrate the life and music of Foster MacKenzie III, better known to the world as Root Boy Slim. If you're not familiar with Root, who died in 1993, read this profile in the Orlando Weekly. "They beat me silly with a rubber hose ..."
It's the Oneth of the month! Aug. 1 is the birtday of several iconic musicians. 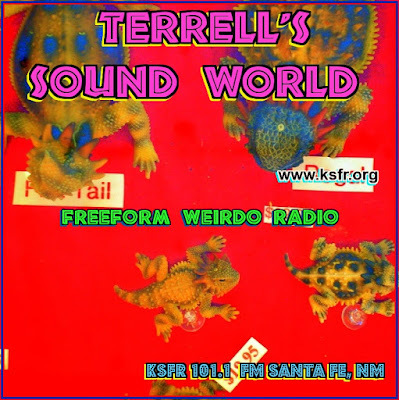 Here is some music from some of them. First, Suzi Gardner of L7 turns 58 today. Here she is singing one of my favorite L7 songs, "Andres." Chuck D of Public Enemy also turns 58 today. Here's a PE video from a couple of years ago called "No Sympathy from The Devil." Jim Carroll would have been 69 today, but nine years ago he became a person who died. And on this day in 1779, one-hit wonder Francis Scott Key was born. Here are James Hetfield and Kirk Hammett from Metalica doing Key's big song.